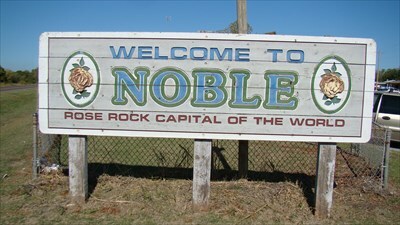 The town of Noble is known as the Rose Rock Capital of the world. The city was founded by Albert Rennie during the Oklahoma Land Run of 1889. The town was named after U.S. Secretary of the Department of Interior, James Noble. Noble residents work closely with the Noble Public School System to provide students with a positive learning environment and a passion for exploration and achievement. ©2019 MLSOK, Inc. We do not attempt to verify the currency, completeness, accuracy or authenticity of the data contained herein. Information is subject to verification by all parties and is subject to transcription and transmission errors. All information is provided “as is”. The listing information provided is for consumers’ personal, non-commercial use and may not be used for any purpose other than to identify prospective purchasers. This data is copyrighted and may not be transmitted, retransmitted, copied, framed, repurposed, or altered in any way for any other site, individual and/or purpose without the express written permission of MLSOK, Inc. Data last updated: 2019-04-25T11:02:14.353.